Support Bobby Bee a Blessing Book! What is Bobby Bee a Blessing? 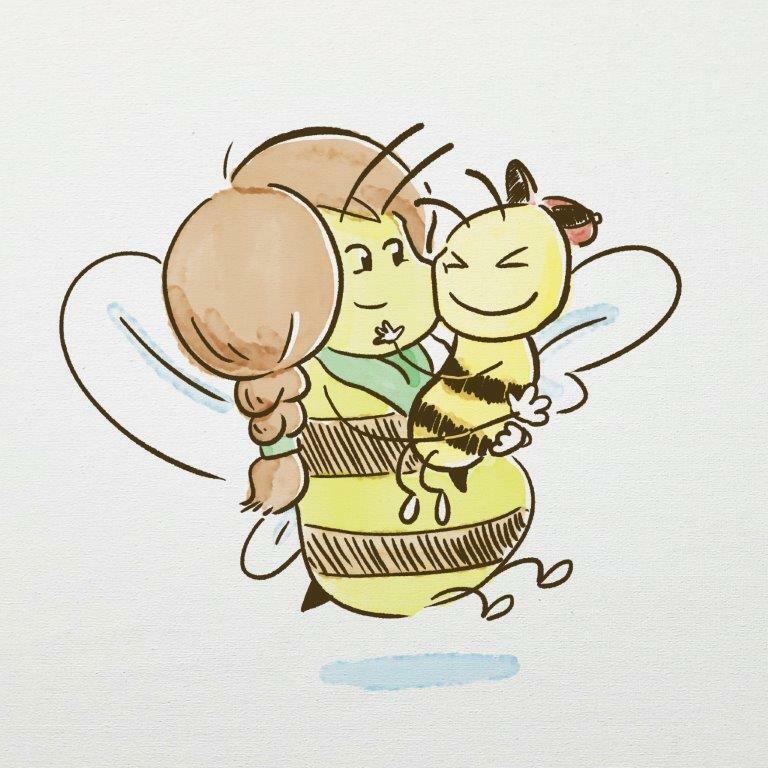 Bobby Bee is a good little bee who loves his Mama Bee Barbie Bee very much. 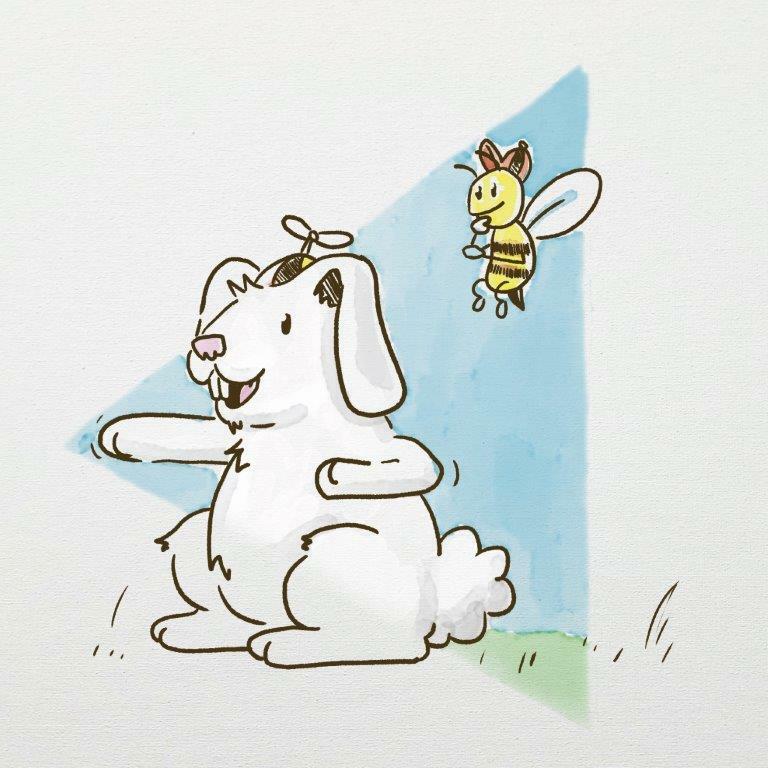 However when Bobby Bee gets nervous before a big pollen test he is not excited to hear his Mama Bee Barbie Bee’s advice to “Be a blessing.” Bobby Bee and his best friend Robby Rabbit go about their adventures and misadventures as they try to learn what that means from Mr. 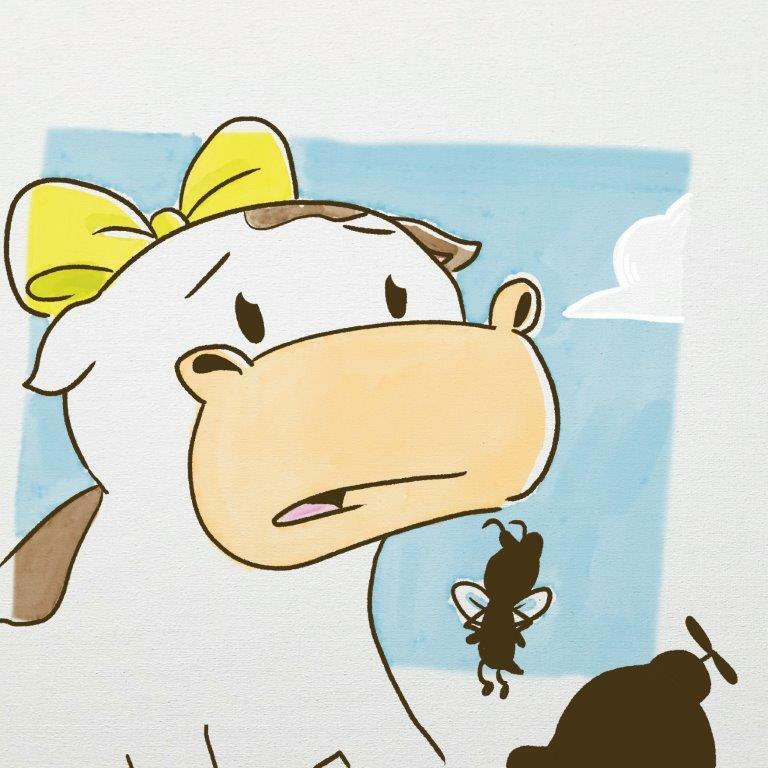 Horse and Ms. Cow. Instead of a KICKSTARTER campaign we’ve decided to do a “BUZZSTARTER” campaign right here on this website which gives us the most flexibility to include YOU in the project and maximizes the value of YOUR dollar directly towards the project. Subscribe to our newsletter to get updates and promotional offers for all Bobby Bee news! We (author Steve Teel and illustrator Shea Stanley) are hopeful we can together raise $4,000 for Bobby Bee A Blessing Book which includes printing costs, an incredibly reasonable fee for Shea Stanley’s illustrations, art direction and design, a website design by long time friend and supporter OrangePulley.com, and marketing/advertising costs as we both hope and desire to reach more people with this book with the hope of creating several more books in the Bobby Bee series! Single and Buy One Bless One copies will be taxable purchases. Beehive & Golden Bee ($50, 80, 100, 200) will be considered generous donations to support our Very Bold Ministries goals to impact children. Steve leads Very Bold, a 501(c)3 non-profit ministry. The first 10 to make any purchase or donation will receive a Chick Fil A Family Value ($30) Meal good at San Antonio and New Braunfels areas Chick Fil A courtesy of our awesome Release Party Partner: Chick Fil A Stone Ridge! 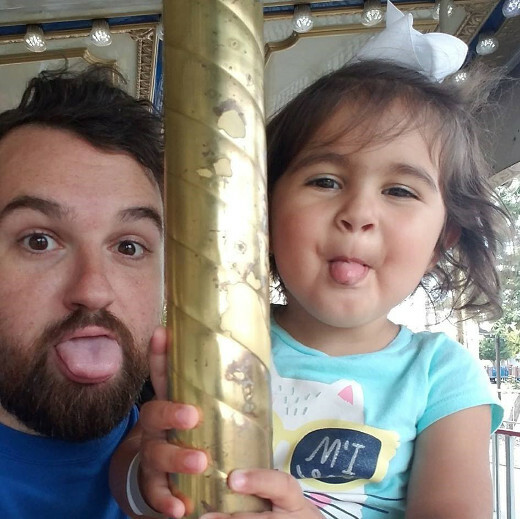 Shea will create a caricature of your child’s face on a bee body as part of Bobby Bee’s Bee School Class Picture (like the adorable bee to the right!). We would love to include your child as part of the book! We will sign a copy of the book to your child, autographed by Shea and Steve. 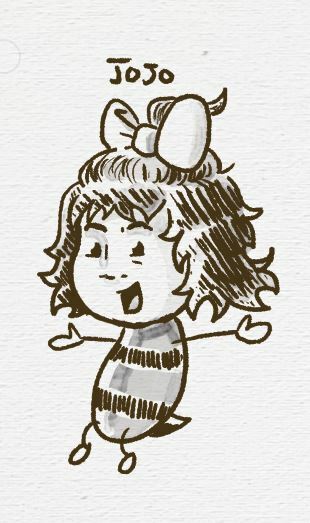 Shea will create a caricature of your child’s face on a bee body as part of Bobby Bee’s Bee School Class Picture (like the adorable one below!). We would love to include your child as part of the book! We will sign a copy of the book to your child, autographed by Shea and Steve. We are asking some of our biggest fans, friends, family, and supporters to consider making a $200 donation to help us fund this project that will bless children. 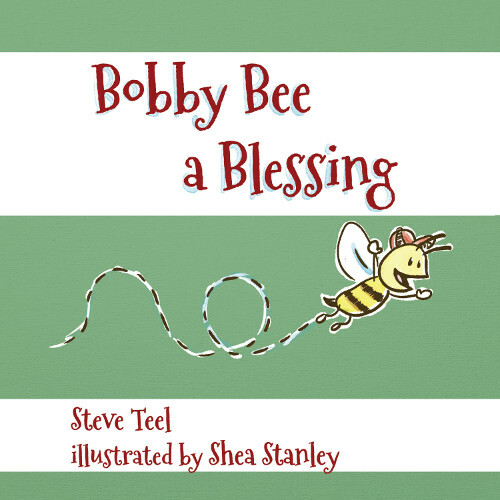 SPECIAL INCENTIVE: You will receive a signed and NUMBERED copy of Bobby Bee A Blessing. 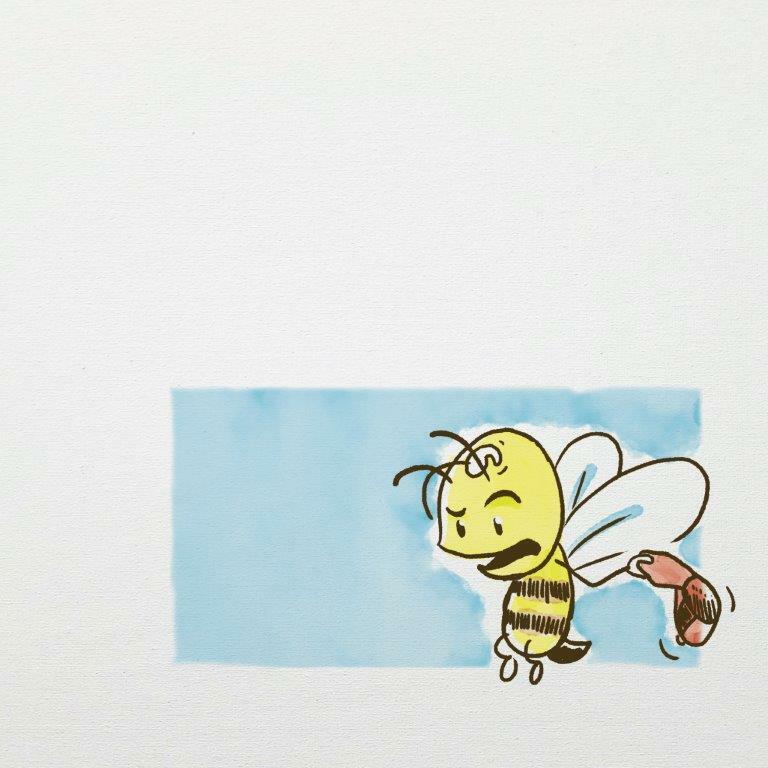 So for example if ten people contribute the BEE A BLESSING REWARD (Steve and Shea) will autograph with gold sharpie and number 1 of 10, 2 of 10, etc. If just one person contributes this gift, then we’ll sign 1 of 1 Gold edition. 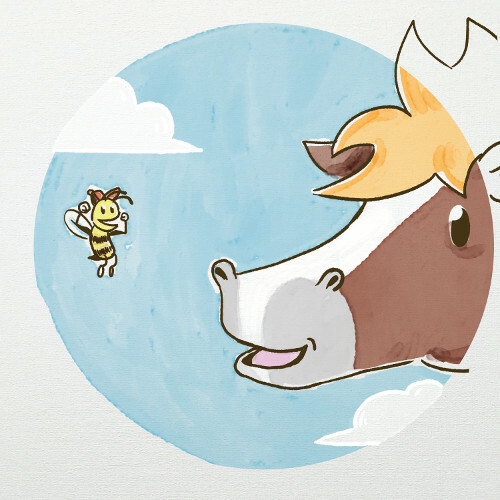 What Bobby Bee Book do you want to see next? This book is a lesson for children in patience as Bobby Bee struggles to wait to open his birthday presents. Bobby Bee beecomes an excellent football player but has some lessons to learn about not bragging and understanding the importance of humility. Which Virtue Should Bobby Address Next? 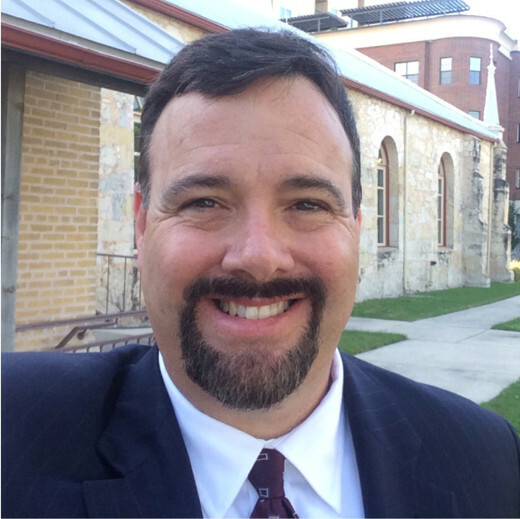 Steve Teel’s mom, Barbara, really did tell him (many times) to Be A Blessing when he was a child facing stressful and anxious moments (and still to this day an adult)! Like Bobby Bee, the author did not always want to hear those pearls of wisdom and had to learn many times over the value of trying to be a blessing. Steve first wrote this story as a Christmas gift for his mom. Steve has worked with Shea Stanley since Shea was a middle school student starting to draw cartoons, comic strips, and other illustrations. 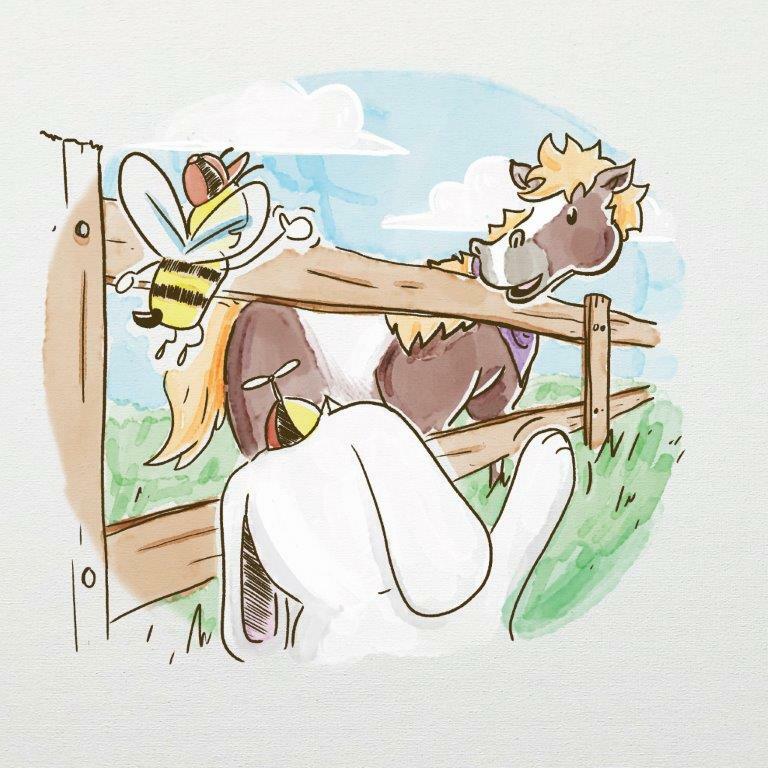 They have collaborated on several projects since but are excited right now for you to meet Bobby Bee, Robby Rabbit, Mama Bee Barbie Bee, and many other characters to come. Steve is married to Kris, and they love their kids: Samantha, Jessica and Jordan Nelson, and David. Shea Stanley is a talented artist, illustrator, as well as a loving husband to Morgan and dad to JoJo. Shea is excited for JoJo to be able to hold this book that he has illustrated and put together. Saturday, January 13 10am to 2pm at the Chick Fil A Stone Ridge (281 & Evans Rd in north San Antonio). Come and go and pick up your book(s). We will be reading Bobby Bee A Blessing for story time at 10am, 11am, Noon, 1pm, and 2pm and there will be photo ops and fun and of course there’s always delicious Chick Fil A to order and enjoy! Thank Kelly Stewart while you’re there for making this release party happen!